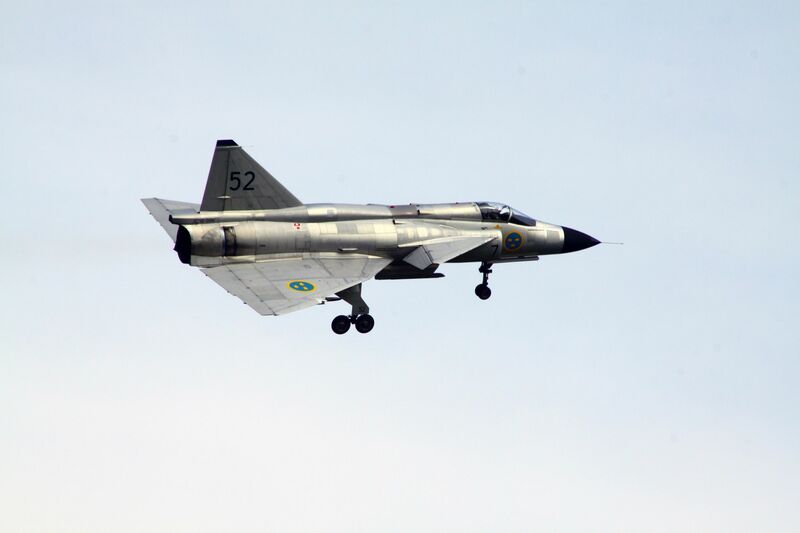 The Viggen was initially developed as an intended replacement for the Saab 32 Lansen in the attack role and later the Saab 35 Draken as a fighter. In December 1961, the Swedish government gave its approval for the development of Aircraft System 37, which would ultimately become the Viggen. The Viggen (Thunderbolt) was developed by Sweden in the mid-1950s as a fighter and attack plane which could take off and land from specially prepared roads without the maintenance highly trained personnel, with the additional capacity of reaching Mach 1 at low altitude and Mach 2 at high altitudes. A delta-winged design with aiding canards was therefore selected, allowing operations within 500 m airstrips. The turbofan engine, selected for fuel economy, was quite particular, being one of few which featured an afterburner and mechanical thrust-reverser combination; it was also unusually large (6.1 m x 1.35 m). 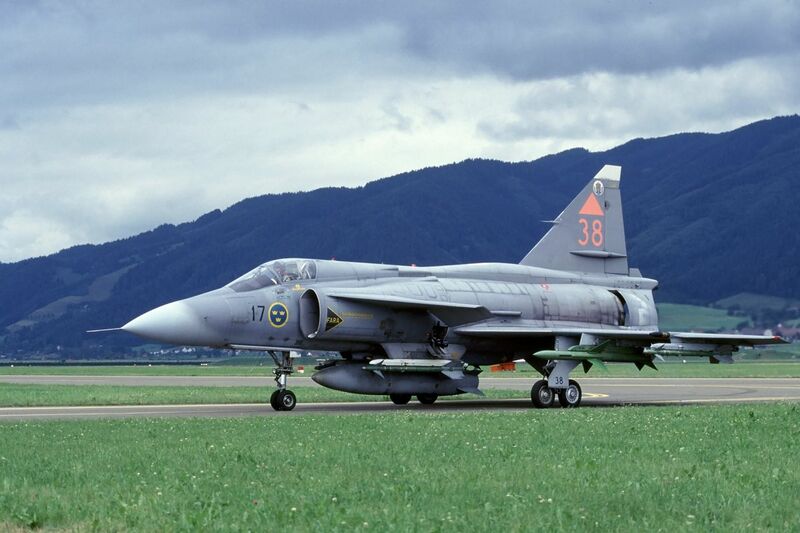 Produced in 329 units, the Viggen remained operational until 2007. The lifting canard surfaces act as a vortex generator for the main wing, providing more lift. Additionally, they improve roll stability in the transonic region. A pair of curved fixed-geometry inlets alongside the cockpit feed air to the engine, similar to those of the Draken, except for being larger and separate from the fuselage. Unless otherwise mentioned, this webpage and its content is licensed under the Attribution 4.0 International license. You may quote and copy this material if you give correct credit to the author and do not distort or otherwise change the original meaning of his words. Copying any material on this website without giving correct credit to the author is both plagiarism and copyright infringment, and will be treated as such. Denis G. Labrecque published this document on May 04, 2015. Proudly hosted on GitHub using Jekyll markdown.